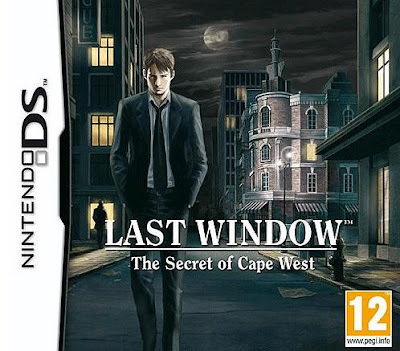 In a few short days, European CiNG fans will be able to stroll into their favorite game shops and pick up as many copies as they want of Last Window: The Secret of Cape West (aka the sequel to the now-defunct developer's Hotel Dusk: Room 215). 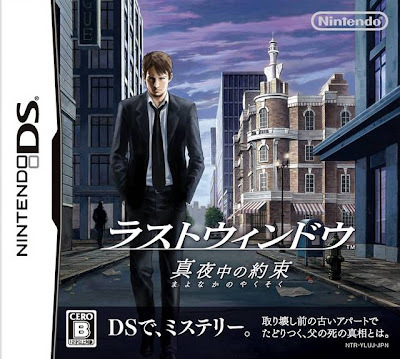 Although the box art those folks will be searching for isn't all that different from the art that graced the cover of the Japanese version of this DS game (called Last Window: Midnight Promise), it's different enough that I think it warrants another edition of "Which Box Art is Better?" I know, I know, they're nearly identical. Still, I (slightly) prefer the darker, moodier European cover to its more colorful Japanese counterpart. This one's a toughie! I think I'd have to play the game before I made a judgment. The moodier, darker one seems more in line with typical "mystery" themes. But the Japanese one seems more real-life-y.